Shopping centres have traditionally existed to physically connect consumers and retailers, but in the face of competition from online shopping and declining foot traffic, developers are repositioning their properties as entertainment hubs and foodie destinations. Shopping centres were originally built for convenience. As Australian cities began to spread, enterprising developers realised it was more sensible to expand into the suburbs, where their customers were, rather than expecting shoppers to come to them in the cities. They created one-stop-shop destinations that catered to customers with extensive parking, a comfortable shopping experience (air conditioning was a big drawcard) and a wide range of choice. Convenience is still king in retail but shopping centres are no longer the most convenient channel for the modern consumer—that title goes to online. This has led to a reduction in foot traffic, with the number of visitors to shopping centres, strip shops and discount shopping centres down 4.4 per cent in 2017 compared with the previous year, according to ShopperTrak. In order to entice customers back through the doors, shopping centre owners are turning their properties into community hubs and entertainment venues, with high-end dining precincts and cool rooftop bars. Suburban centres are being refurbished with one aim: to get punters to stay longer and spend more, even if the money isn’t going to traditional retail. According to IBISWorld senior analyst Kim Do, shopping centres are beginning to sell themselves as entertainment destinations, rather than retail hubs, in order to attract visitors. 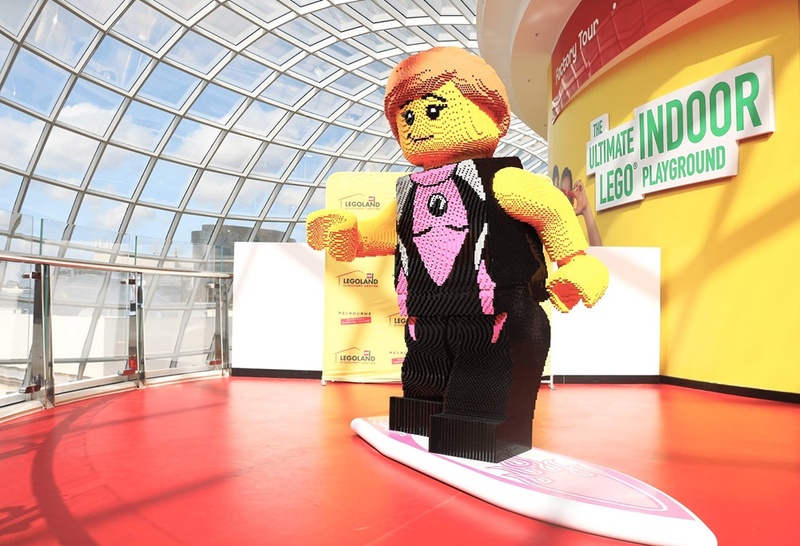 “For example, the first redevelopment stage of Chadstone shopping centre in Victoria included a new dine-in restaurant precinct, a renewed cinema and a Legoland Discovery Centre, with future plans including a hotel,” she says. This approach makes sense considering millennials—who will earn two out of every three dollars in Australia by 2030—have been found to prioritise spending on experiences over product ownership. AMP Capital Shopping Centres has a portfolio of 27 centres across Australia and New Zealand and has conducted extensive research into visitor trends. It found 82 per cent of shoppers would spend as much or more on food experiences that provided opportunities to relax, and over 50 per cent of shoppers aged between 18 and 29 wanted to see things like rooftop bars included in their local centres. Chadstone shopping centre features a Legoland Discovery Centre. Managing director Mark Kirkland says he sees a growing trend of shopping centres becoming as much a place for social gatherings as they are places of commerce. AMP is investing significantly in food, services and experiential retail, says Kirkland, including acquiring two Queensland centres with strong food retail offerings, Brickworks Centre in Southport and Gasworks Plaza in Brisbane. According to the Urbis Shopping Centre Benchmarks 2016 report, the percentage of space dedicated to food and beverage outlets has increased by about five per cent in Australia’s regional shopping centres as retail landlords adapt to global trends. Founder and managing director of consultancy Future Food, Francis Loughran, says the Australian trend echoes what is happening in the US. 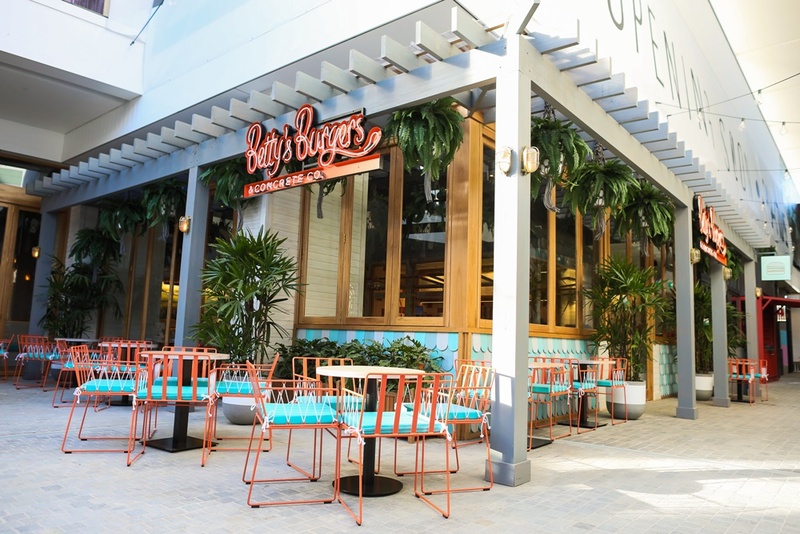 “Restaurants and food venues have accounted for 45 per cent of all shopping centre expansions in the USA over the last five years, and we are seeing Australian shopping centres adapting to this trend as well,” she says. Even outlet centres are feeling the pressure to be more than retail destinations, with Harbour Town on the Gold Coast announcing in April this year it is building a $25 million dining precinct. “Harbour Town provides a unique customer experience, focused on outdoor, discount shopping,” says marketing manager Deanne Woolcock. Traditionally, shopping centres existed to physically connect retailers and consumers, but the expectations of both groups have risen dramatically. A study by Monash Business School found retailers’ are becoming less concerned about lower rents and instead put more weight on marketing and other support centre landlords can provide to encourage more foot traffic. Many centres are providing space for short-term, flexible leases to allow emerging brands to showcase their products through pop-up stores, while others are focusing on providing additional community services to create new-age town centres. 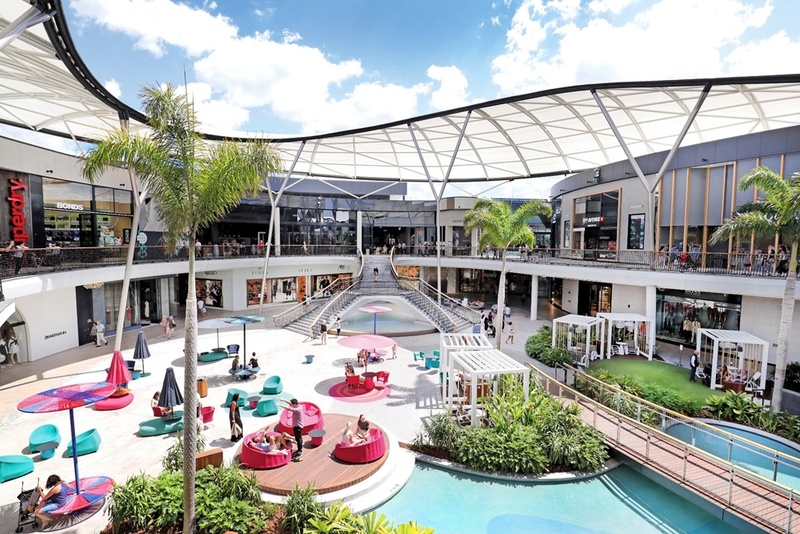 At Brisbane’s Westfield Chermside, along with a new restaurant precinct, entertainment complex, childcare centre and LA-inspired fitness studio, there is a focus on curating an interesting tenant mix, says Peter Allen, CEO of Chermside owner Scentre group. Initiatives like 100 Squared, which converts 100-square-metres of dead space within shopping centres into boutiques showcasing local designers, also help provide a point of difference from the usual high street brands seen in centres across the country. 100 Squared turns dead space in shopping centres into boutiques. For AMP’s Mark Kirkland, there isn’t a one size fits all approach to creating centres people want to visit and spend time in. Instead, AMP’s strategy is to develop experiences within its centres that are relevant to the people they serve. “Through customised research, which enables us to predict trends, we gain insight into shoppers’ wants and needs and get an understanding of how we can make this come to life in order to provide them with the most fitting retail experience.